The Connells are an American band from Raleigh, North Carolina. They play a guitar-oriented, melodic, power pop style of rock music with introspective lyrics that reflect the American South. Though mostly dormant, the band continues to play to this day. Quite popular in Europe, the band is best known for their song ’74-’75which became a Top 20 hit in the UK. From the beginning of the group, Mike Connell wrote both the music and the lyrics of the majority of the band’s songs, although he was not the band’s primary lead singer. Connell’s influences included the 1960s guitar pop of his childhood, including The Byrds and The Beatles; in an early interview, he stated that the first song he wrote as a teenager was titled “Psychedelic Butterfly». «Back for Good» is a song by the British pop group Take That and written by Gary Barlow. It was released in 1995 as the second single from the band’s third studio album, Nobody Else. The song topped the UK Singles Chart, and achieved great success in many countries around the world, including Australia, Canada, Denmark, Germany, Ireland, Norway, Spain and the United States. The song went on to reach number one in over 31 countries.The music video to the song was relatively simple but iconic. It is shot in black and white and shows the band walking and dancing in the rain as well as the band performing the song in a shelter. It was also the last music video to feature Robbie Williams in the present day until he rejoined the band in 2010. The music video has often been an influence in the band performing the song live as they often make use of artificial rain when performing it. «Eye of the Tiger» is a song by American rock band Survivor. 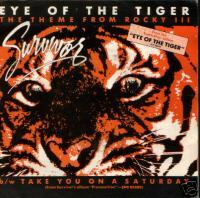 It was released in May 1982 as a single from their third album Eye of the Tiger. It was written at the request of actor Sylvester Stallone, who was unable to get permission for Queen‘s «Another One Bites the Dust«. The song was to be the theme song for the movie Rocky III, in which Stallone was playing the main role. The movie version of the song is different from the album version because it features tiger growls. It gained tremendous MTV and radio airplay and topped charts worldwide in 1982. 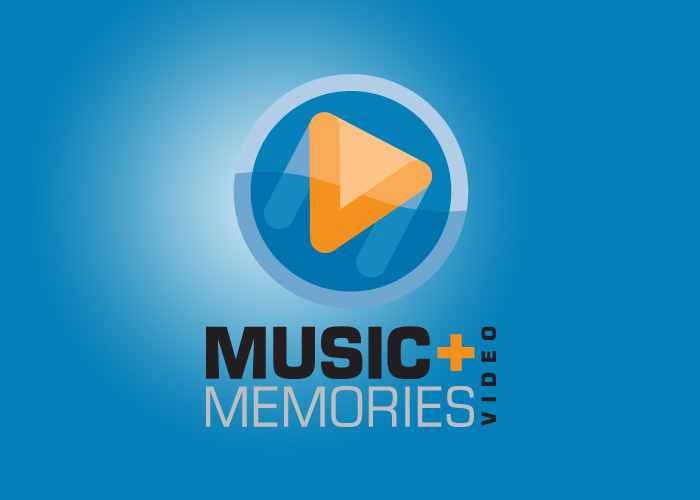 It is memorable for its guitar riff and anthemic chorus. It was certified platinum in August 1982 by the RIAA, signifying sales of 2 million vinyl copies, and the song has sold 3 million in digital downloads in the United States alone by March 2012.It was voted VH1’s 63rd greatest hard rock song.Combined sales of original vinyl release and digital downloads total over 9 million copies, making «Eye of the Tiger» one of the best-selling singles of all time. «The Logical Song» is a hit single on Supertramp‘s 1979 album Breakfast in America, sung by band member Roger Hodgson. The song was a hit on its original release, reaching number 7 in the United Kingdom and number 6 in the United States. The song also spent two weeks at number 1 on the Canadian RPMSingles Chart and was certified Platinum in Canada. It stayed for three months on the Billboard Hot 100 in the summer of 1979. «The Logical Song» is Supertramp’s biggest chart hit in both the United States and their native United Kingdom and it is among their most widely recognised radio hits. It won the 1979 Ivor Novello Award for «Best Song Musically and Lyrically». «The Logical Song» was mostly penned by Roger Hodgson; Rick Davies wrote the vocal harmony on the second chorus. The song makes use of keyboards, castanets, and an instrumental section with a strong Beatles influence. Among the contemporary sound effects in this song are the ‘tackled’ sound from a Mattel electronic football game and the Trouble «Pop-o-matic» bubble – both popular at the time this song was released. The lyrics are a condemnation of an education system not focused on knowledge and sensitivity. 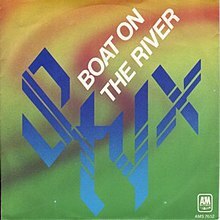 «Boat on the River» is a 1980 song by Styx, from their album Cornerstone. It was released as a single, but did not chart in the band’s native United States. However, it was popular in several German-speaking countries, becoming a top-five hit on the German, Austrian and Swiss charts (reaching number one on the latter. The song features Tommy Shaw on lead vocals and mandolin, with Dennis DeYoung accompanying on accordion. In the video for the song, Chuck Panozzo, John Panozzo, and James Young play bowed double bass, tambourine/bass drum and acoustic guitar respectively. Allmusic reviewer Mike DeGagne praise both «Boat on the River» and fellow Cornerstone single «Lights» for their «silky harmonies and welcoming choruses», despite their poor chart performance in the U.S. The song has been covered by Seventh Avenue and Guano Apes. «Every Breath You Take» is a song by The Police on the band’s 1983 album Synchronicity, written by Sting and Andy Summers (but officially credited to Sting only). The single entered the charts at position 36 on 4 June 1983. The single was one of the biggest hits of 1983, topping the Billboard Hot 100 singles chart for eight weeks and the UK Singles Chart for four weeks. It also topped the Billboard Top Tracks chart for nine weeks. At the 1984 Grammy Awards Sting won Song of the Year and The Police won Best Pop Performance by a Duo or Group with Vocals for «Every Breath You Take», while it was also nominated for Record of the Year. The song ranked No. 84 on the Rolling Stone list of the 500 Greatest Songs of All Time and No. 25 onBillboard‘s Hot 100 All-Time Top Songs. This song is considered to be The Police’s signature song, and in 2010 was estimated to generate between a quarter and a third of Sting’s music publishing income. 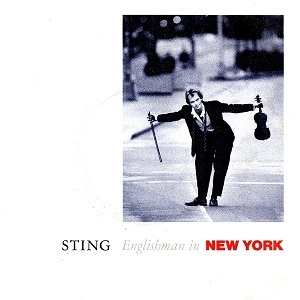 «Englishman in New York» is a song by English artist Sting, from his 1987 album …Nothing Like the Sun. The song was released as a single in 1988, but only reached #51 on the UK Singles Chart.In the US, «Englishman in New York» peaked at #84 on the BillboardHot 100 chart in April 1988.The song reached #32 on the Billboard Mainstream Rock chart that same month.Branford Marsalis played soprano saxophone on the track and Manu Katche the percussion. However, «Englishman in New York» was a hit in 1988 in several European countries,reaching the Top 40 (and sometimes the Top 20) in France, Netherlands, Belgium, Ireland, etc. In 1990, just prior to the release of his third studio album The Soul Cages, Sting’s record label licensed Dutch DJ and producer Ben Liebrand to remix «Englishman in New York» and subsequently release it as a single. The remix played around with the introduction and some of the instrumentation, but the essence of the song remained the same. The new version was commercially successful, reaching number 15 in the UK charts in mid-1990. 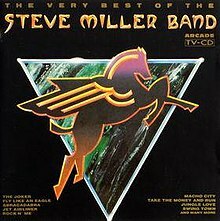 The Steve Miller Band is an American rock band formed in 1967 in San Francisco, California.The band is managed by Steve Miller on guitar and lead vocals, and is known for a string of (mainly) mid-1970s hit singles that are staples of the classic rock radio format.Sarenade, γραμμένο από τους Steve Miller και Chris McCarty. In 1965, Steve Miller and keyboardist Barry Goldberg founded the Goldberg-Miller Blues Band along with bassist Shawn Yoder, rhythm guitarist Craymore Stevens, and drummer Lance Haas after moving to Chicago to play the blues. The band was contracted to Epic Records after playing many Chicago clubs. They also appeared on Hullabaloo with the Four Tops and the Supremes. «Born to Be Wild» is a rock song first performed by the band Steppenwolf, written by Mars Bonfire. It is often used in popular culture to denote a biker appearance or attitude. It is sometimes described as the first heavy metal song, and the second verse lyric «heavy metal thunder» marks the first use of this term in rock music (although not as a description of a musical style). However, the claim may be false as bands such as Blue Cheer had recorded songs with a heavier rock sound while «Born to Be Wild» incorporated elements of classic rock music. 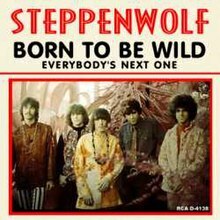 «Born to Be Wild» was the band’s third single off their 1968 debut album Steppenwolf and became their most successful single, reaching No. 2 on the Billboard Hot 100 singles charts. In 2004, Rolling Stone magazine placed «Born to Be Wild» at No. 129 on the 500 Greatest Songs of All Time list. In 2009, it was named the 53rd best hard rock song of all time by VH1. «Nothing’s Gonna Stop Us Now» is a #1 hit song co-written by Albert Hammond and Diane Warren, recorded by the American rock band Starship. Featured as the theme to the romantic comedy film Mannequin, it hit #1 in the Billboard Hot 100 on April 4, 1987 and reached #1 on the UK Singles Chart for four weeks the following month and became the UK’s 2nd biggest selling single of 1987. At the time, it made Grace Slick the oldest female artist to have a number one single in the United States though the record was later broken by Cher‘s «Believe» in 1999. The song also received anOscar nomination for «Best Original Song» at the 60th Academy Awards. In addition to appearing on the Mannequin soundtrack, the song was also released on Starship’s album No Protection in 1987.